In a recent episode of the Community Broadband Bits podcast, host Christopher Mitchell spoke with Hank Blackwood from Dalton Utilities in Georgia about their publicly owned network, OptiLink. Hank described an upcoming milestone for the community of around 35,000 and a few surrounding rural areas with access to the network. Now it’s official — OptiLink is the first municipal network in the state that offers residential gigabit Internet access to subscribers. Gigabit connectivity is coming on the heels of another improvement for OptiLink subscribers. This fall, officials at Dalton Utilities launched their new video product, VidLink. Hank described that the old video equipment needed a facelift after providing services to the community for 15 years. With VidLink and the new subscriber base it began to attract, and the desire to give Dalton the economic development tools for a truly tech-centered economy, network officials decided it was time to expand gigabit connectivity. They had offered the service to businesses for about four years and on November 19th, 2018, officially launched residential symmetrical gig service. Residential GIGLink service is an affordable $79.95 per month when bundled with VidLink and voice. Stand alone GIGLink service costs $84.95 per month. Households can still sign up for three other symmetrical tiers as low as $41.95 per month for 50 Megabits per second (Mbps). Bundling with voice and video saves subscribers $5 per month. As LUS Fiber approaches it’s 10th anniversary of bringing fast, affordable, reliable connectivity to the community, there’s a growing interest in their story. We’ve spoken with Terry Huval about the network that beat back the incumbents determined to see it fall. Now that he’s retired, Terry has the time to talk to other media outlets to tell the story of the network. Joey Durel, the City-Parish President who worked side-by-side with Terry and who has since stepped out of that role, is also making sure to share his wealth of knowledge so other communities can learn from Lafayette’s experiences. The local Discover Lafayette podcast dedicated two episodes to the story of LUS Fiber this fall. Both Terry and Joey appeared along with attorney Pat Ottinger and Mayor-President Joel Robideaux to offer their perspectives on what the infrastructure has offered to the community. Be sure to check out our extensive coverage on Lafayette and LUS Fiber, including our 2012 report, Broadband At the Speed of Light: How Three Communities Built Next Generation Networks. Part one is 38 minutes, part two is 55 minutes. Terry Huval Shares History of LUS Fiber from Discover Lafayette on Vimeo. History of LUS Fiber - Part Two from Discover Lafayette on Vimeo. Hartford, Connecticut, was abuzz in early November with policy and tech experts discussing the connectivity situation there and in the region. If you weren’t able to attend, or didn’t have the chance to stream it live, you can now watch video from the event. The day is divided into a dozen separate videos, so if you’re interested in a specific panel discussion or presentation, you can easily find what you’re looking for. This one-day event brought together broadband champions from federal, state, and local government, as well as community leaders and policy experts. Features included a mayors’ panel, successful models in broadband deployment, E-Rate and funding opportunities, 5G and small cells, as well as an update about the recent municipal gain ruling in Connecticut. We came across this cool video shared by Taunton Municipal Light Plant (TMLP) in Taunton, Massachusetts, and wanted to share it. This quick vid reminds us that, even though the Internet may seem like “magic” because it connects us with other continents, it’s actually science, work, and investment. BTW, What's Up in Taunton? When we last checked in with TMLP in March 2018, they had just implemented a fiberhood approach to sign up residential subscribers. According to their website, people are responding; nine neighborhoods are connected and almost two dozen others are accepting applications. Once 25 percent of premises have submitted their applications for installation, TMLP provides a timeline for installation in the area. Eight neighborhoods in Taunton are already connected. Taunton began with fiber connectivity for businesses in 1997 and began residential services by offering their Fiber-to-the-Home (FTTH) to an apartment complex. The complex and the first neighborhood they connected were situated near the community high school, already served by TMLP. Other institutions, such as a local hospital and associated clinics have also been signed up with TMLP fiber for years. TMLP offers symmetrical connectivity at either $34.95 per month for 50 Megabits per second (Mbps) or $69.95 per month for 1 gigabit. They also offer VoIP service for $19.95 per month. Like many other publicly owned networks that have opted not to offer video services, TMLP is finding ways to educate the public about viewing options. They recently held a workshop on cutting the cord at the local library and have resources on their website for users interested on learning more. There are about 57,000 people living in Taunton, the county seat of Bristol County. While the history of the community's economy goes back to shipbuilding and silversmithing, today Taunton has an active semiconductor, silicon and electronics manufacturing base. The mayor doesn’t usually show up at your house when you switch to a new Internet service provider, but for Erin and Isaac Herman of Centennial, Colorado, that’s exactly what happened. In early September, they became the first official Fiber-to-the-Home (FTTH) subscribers in Centennial when Internet service provider (ISP) Ting connected their home with fiber optic lines. An event held at their house brought together community members and local officials to celebrate the “lighting” of the fiber line, a culmination of years of hard work by the city to develop a publicly owned dark fiber network. To provide Internet access, Ting leases strands of Centennial’s open access fiber network, constructing its own lines to connect homes and businesses to that backbone. The Herman family and other subscribers now have superior connectivity as a result of the investments made by both their local government and the private company. Plans for households range from 5 Megabits per second for $19 per month to symmetrical gigabit speeds for $89 per month. Centennial residents can pre-order on Ting’s website. Ting operates fiber networks in five U.S. cities. 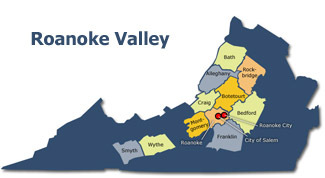 In addition to Centennial, Ting delivers fast, affordable, reliable connectivity to subscribers in Charlottesville, Virginia; Holly Springs, North Carolina; Sandpoint, Idaho; and Westminster, Maryland. Foresite Group has created a video that explains how open access networks can offer better connectivity, including the element of competition, for rural communities. In the video, they profile a strawberry farmer who now relies on expensive and unreliable satellite Internet access, but who needs broadband in order to improve his farming operation. The short video explains the positives for the network owner, the potential subscribers, and ISPs that are interested in providing services to rural folks. I’m very familiar with many government owned telecom operations throughout the world, over many years, and across many different forms of government, and I can tell you that governments generally do not subsidize publicly owned telecommunications. They milk telecommunications - these systems generate a lot of revenue.